Will you be planning on adding Fitbit Pay support for the Monzo current account? I’m currently debating between an Android Wear and/or Fitbit Ionic device and this will be the clincher for me. Given a reply in an earlier thread which suggested that Samsung Pay had too small a user base to bother with (other than as an engineering hobby project) at this point, I doubt that a new Fitbit, with an even smaller current user base, will garner any more support. Hmm - Android Wear it may have to be. I’d get onboard with a decision to support FitBit pay. And the complete irony of this is that while I still believe what I wrote above, I’m rather surprised to have been given a Fitbit Ionic so I’ll join the queue of eager Fitbit pay customers even though I don’t believe we’re going to see anything useful in anything but the long term. Ahh but will you still be using it in a few weeks? You, sir, may well be interested in Starling that continues to innovate with industry firsts. 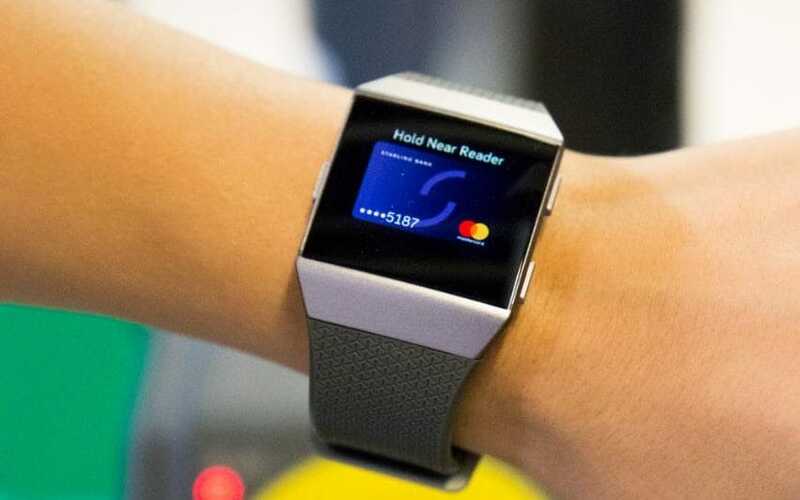 Fitbit's rival to Apple Pay is launching in the UK on Tuesday, but it will only be initially available to customers of the tiny challenger bank Starling Bank, which gained its banking licence last year. It’s such a missed opportunity that Monzo backed the wrong horse and announced Android Pay on the same day. Clearly. What can they have been thinking! I’d be interested in Fitbit Pay support. I prefer Monzo to Starling but if I get their watch then I’ll have to spread my money across Starling as well and lose the Monzo’s stats. How come Starling is already there? To clarify, Starling is the only UK bank offering support for it. Monzo is currently working on rolling out current accounts to all 450,000 prepaid customers - no mean feat. Come on, Fitbit pay must be being used by at least 450 people - no mean feat!!! I have just purchased a fitbit ionic and wondered if monzo was thinking of supporting fitbit pay. I know starling bank has done the same, I was a little disappointed reading on the fitbit website “we support all major banks” only to find one bank service. Looking at their site, they also support Danske Bank (Northern Ireland). I’m a bit surprised American Express doesn’t support Fitbit Pay since they do in the US, and their platforms are very global compared to other issuers, but it was the same with Android Pay for a long time - because they used the UK to try and push their (awful) Amex Pay solution. I’m really not surprised Fitbit hasn’t made too many friends in the industry, they themselves have chosen not to integrate with services like Apple’s HealthKit. Perhaps Fitbit isn’t as fun to work with as some other companies? I have no insider knowledge, just the impression I get from the lack of interoperability Fitbits themselves have always had. I was a little disappointed reading on the fitbit website “we support all major banks” only to find one bank service. Having upgraded my Pebble to an Ionic last week I’d also be interested in this, but realise it’d be right at the very bottom of the list of priorities and then some!